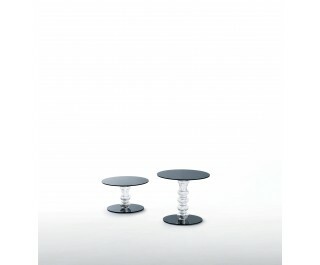 Round low tables available in two heights with top and and foot in tempered mm. 8 thick glossy lacquered glass. The base is in shaped blown glass, with decorations engraved on the surface.